…the Phthiraptera in its natural habitat, also known as the common louse or head lice. The lice live on the monkeys, and the monkeys eat the lice. Although it’s quite a nasty symbiosis, it’s also a perfect example of something we refer to as the circle of life…beautiful! Got an itch you just can’t scratch? In Itchy Monkey several families of Lice try to become the more dominant type. Every turn you’ll spawn new lice and jump over to nearby monkeys. Alternatively you can tickle the monkey, which makes it move and bump into other monkeys. That way more of your little friends can jump over! But beware of your rival families, because nobody likes nitpicking. The family of Lice that can build a colony on 5 different species of monkeys, 4 of the same OR 3 Gorilla’s wins the game! In more detail, Itchy Monkey is played with 2-4 people. In essence it’s an abstract game with simple rules, no element of luck, but a lot of tactical decisions. 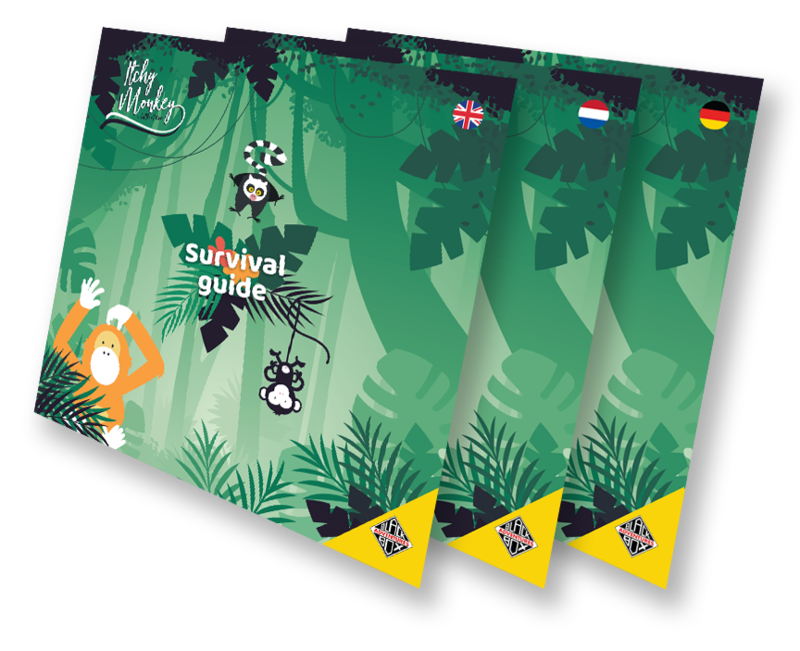 The basic game is suitable from the age of 8, but with the additional monkey abilities the battlefield can become quite challenging! Itchy Monkey is played in roughly 15-30 minutes. 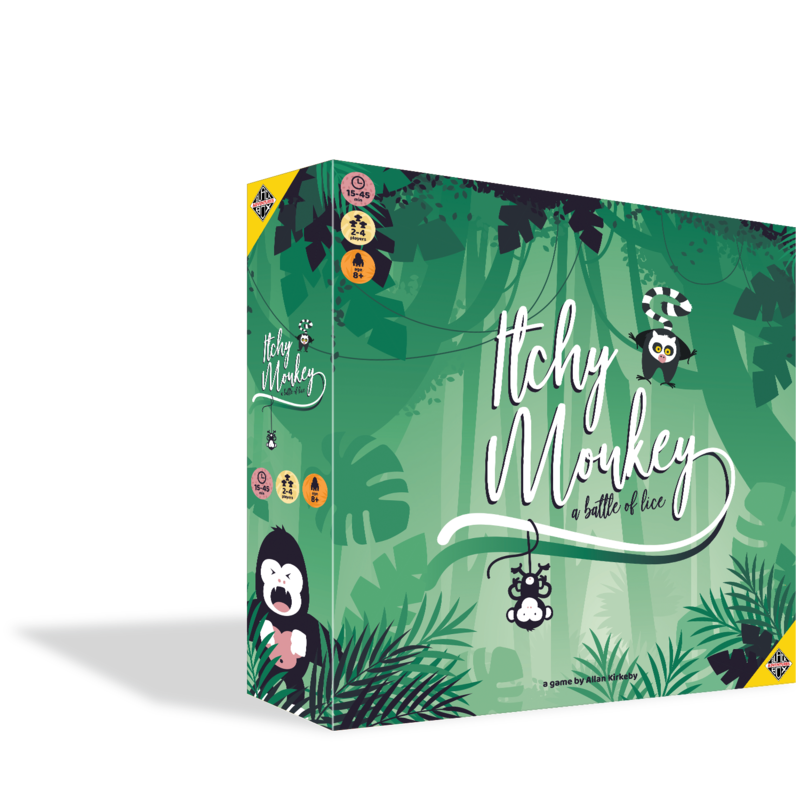 Itchy Monkey is easy to learn, but is a very strategic and tactical game. The various starting positions, optional abilities and a fair amount of monkey business make Itchy Monkey a game with endless options and more fun than a barrel full of monkeys. 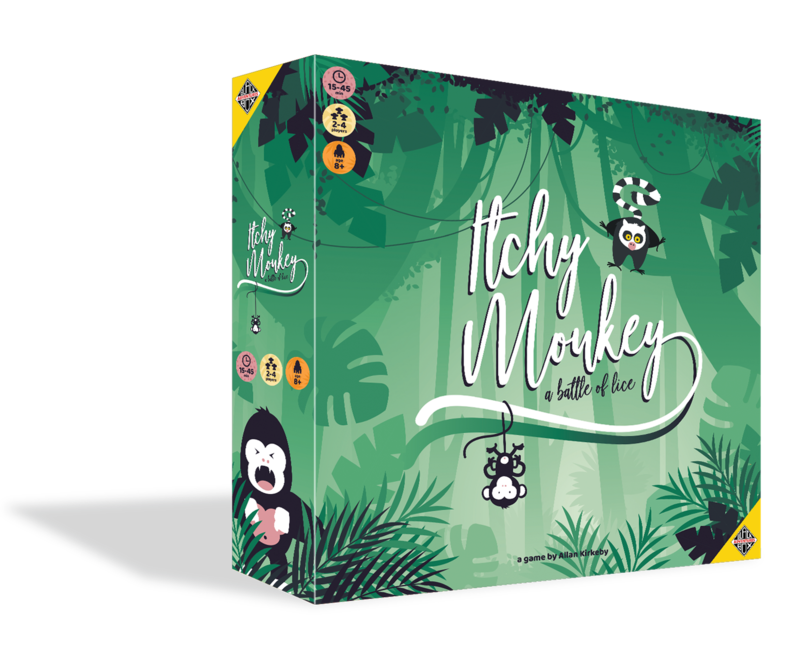 Itchy Monkey comes with one hardcopy version of our rulebook: an English version is included in the box. Should you want, you can download a PDF copy here. Order Itchy Monkey now. Click here!